For our annual vacation this year we decided to visit Walt Disney World in Orlando, Florida for a week. 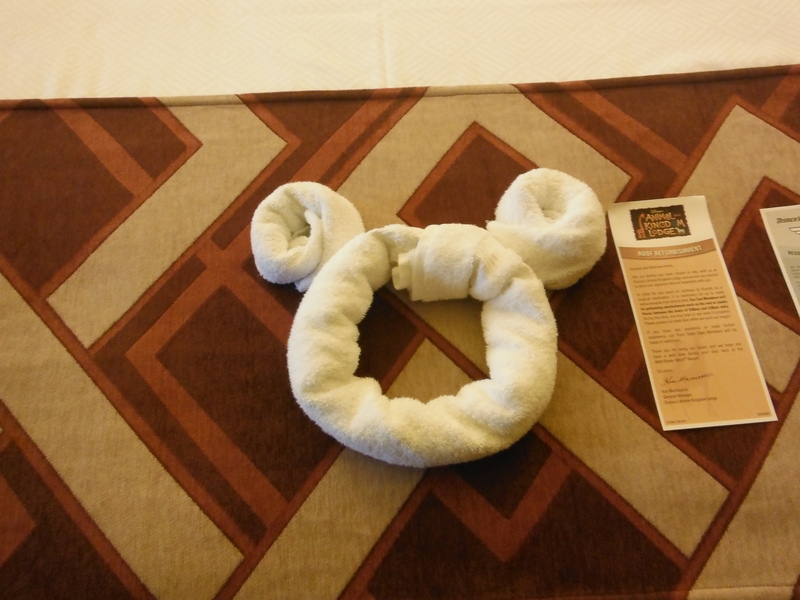 This trip report contains entries on why we’re going, how we got there, where we stayed and what we did at the Mouse House. 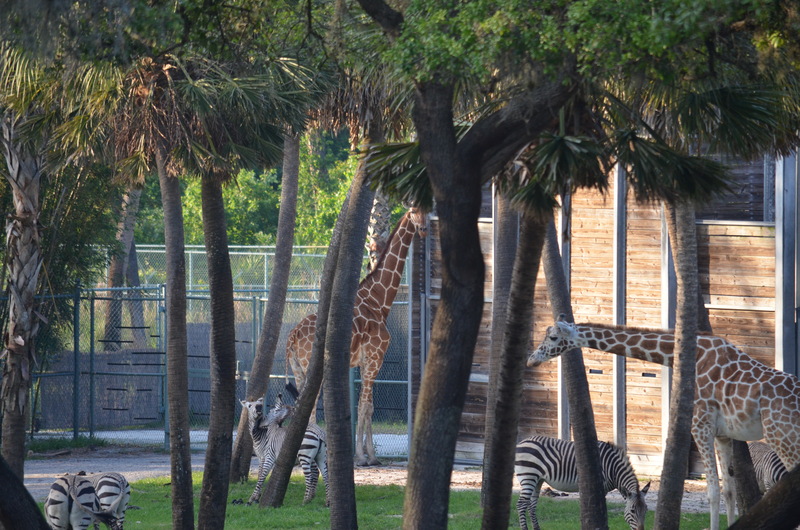 Giraffes, giraffes, giraffes, elephants and lions oh my! With 27 properties to choose from owned and run by Disney choosing a property to stay at can be tough. Plus with all the other hotels options either on the premises or so close by choosing a place to stay can be difficult. But with so many options you can surely find something that fits your needs and budget. 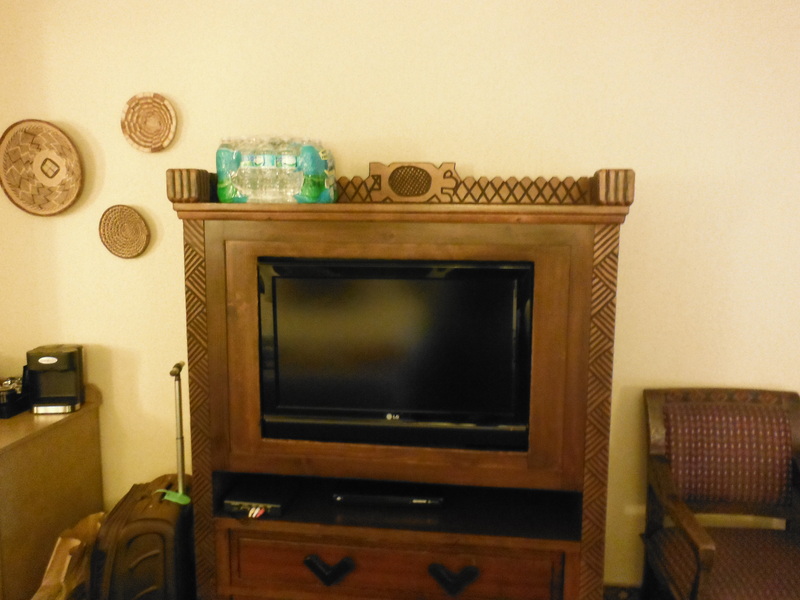 Disney offers three different levels of accommodations ranging from Value, Moderate and Luxury. We choose the Luxury route. Manly due to the fact that we wanted to stay at a nicer property, since we knew we would be spending a fair amount of time in the hotel, plus we wanted a property with multiple food options and frankly I just wanted to see giraffes every day when I woke up, so the Animal Kingdom Lodge was our choice. 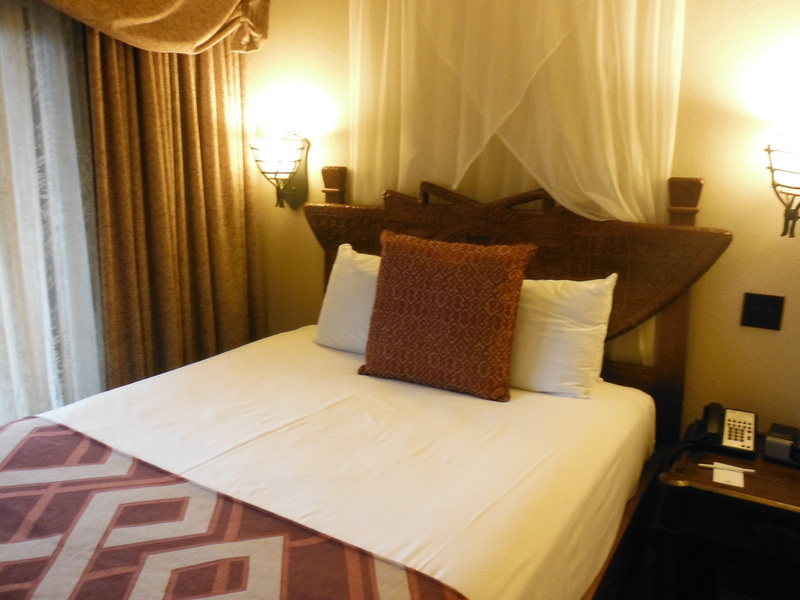 Additionally we got a really great rate and that just sealed the deal for us. 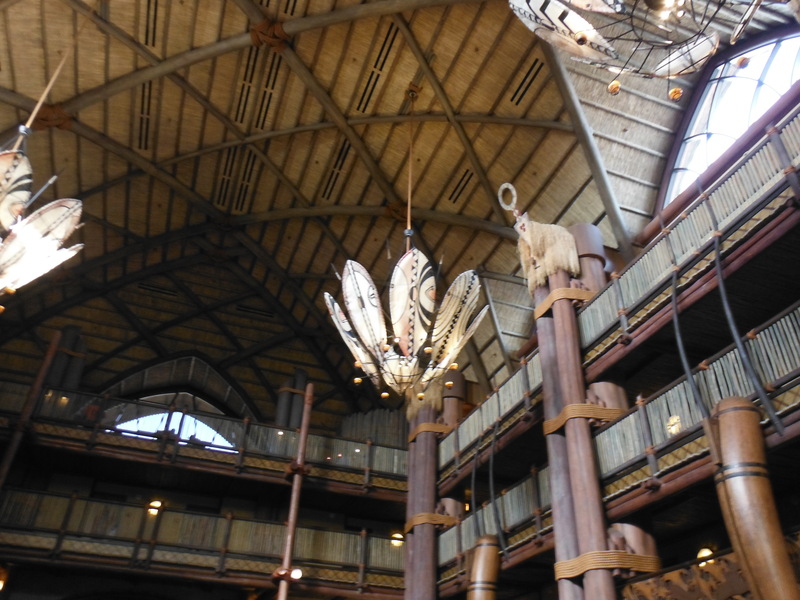 This hotel is incredibly themed to look like a luxury lodge right out of an African Savannah. 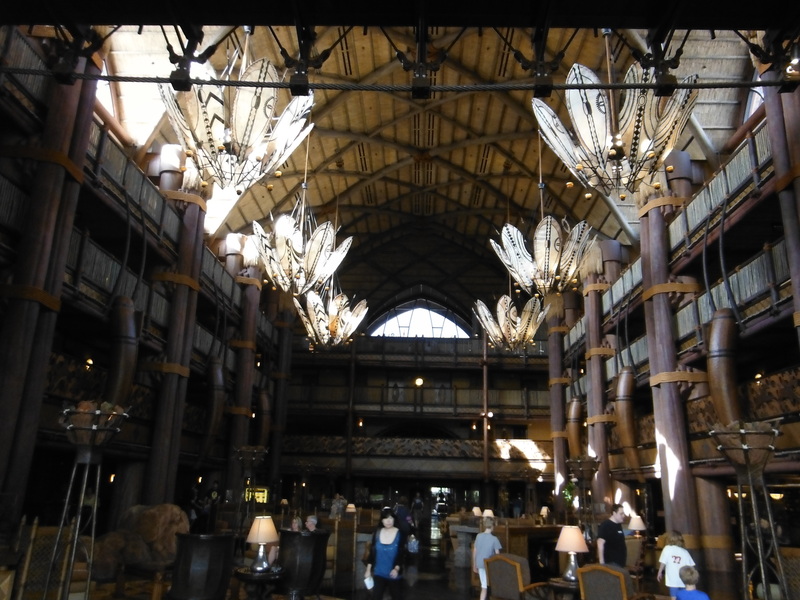 As soon as you enter the lobby you feel like you’ve been transported thousands of miles away to Africa. At least that’s what it seemed like to me (I’ve never been to Africa), so I can only use my imagination. 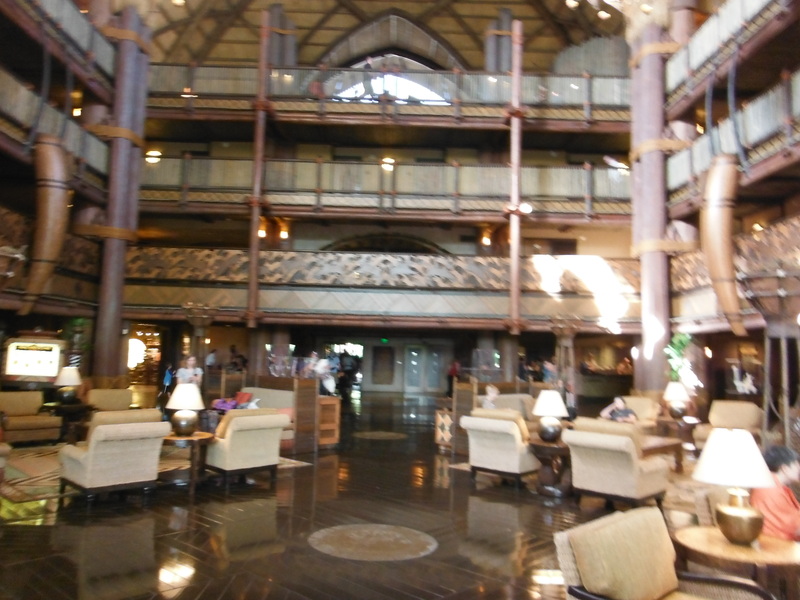 The lobby is incredibly large and spacious. With many smaller seating areas to relax in before or after a long day. 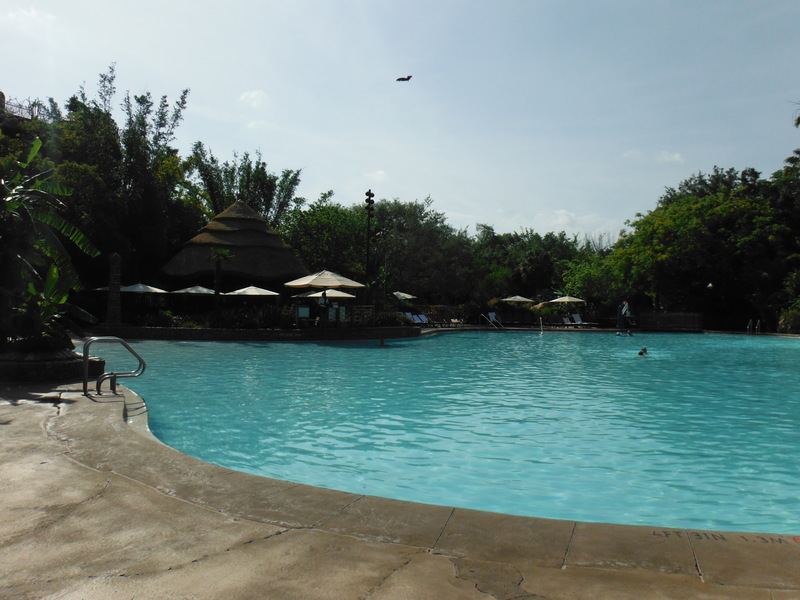 Plus with an amazing view of the African Savannah you have a great chance of seeing some incredible wild animals. On property they have Giraffes, Zebra, Watusi Cattle, Kudu, Antelope and a whole slew more roaming the property. 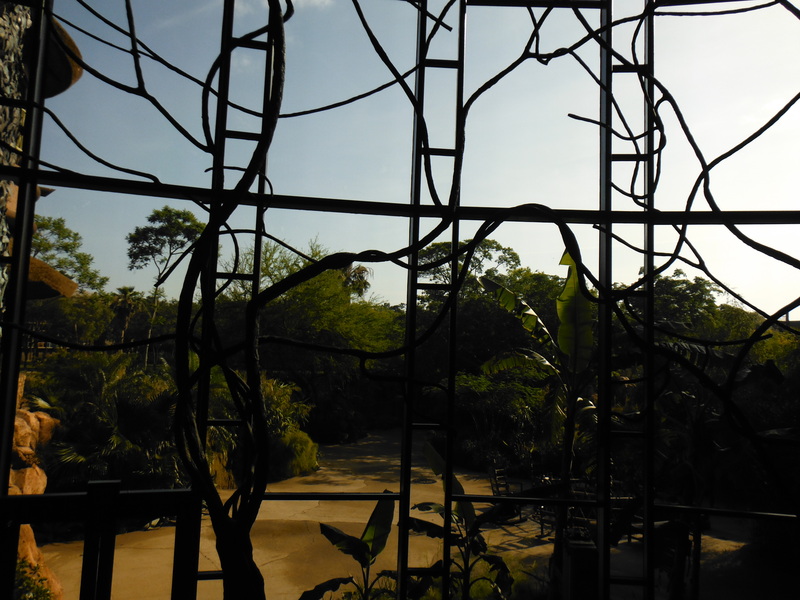 You immediately feel immersed in a safari, and around every corner is another amazing site. 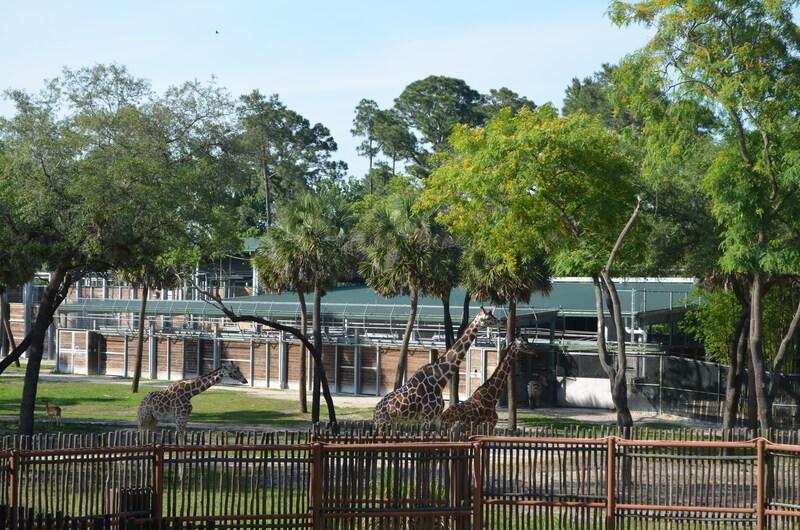 The hotel sits on 48 acres, so they’ve provided ample space to view these fine creatures in a “natural” habitat and from any room that offers a savannah or barn view you’ll be in luck at most hours of the day. The pool was quite nice too. 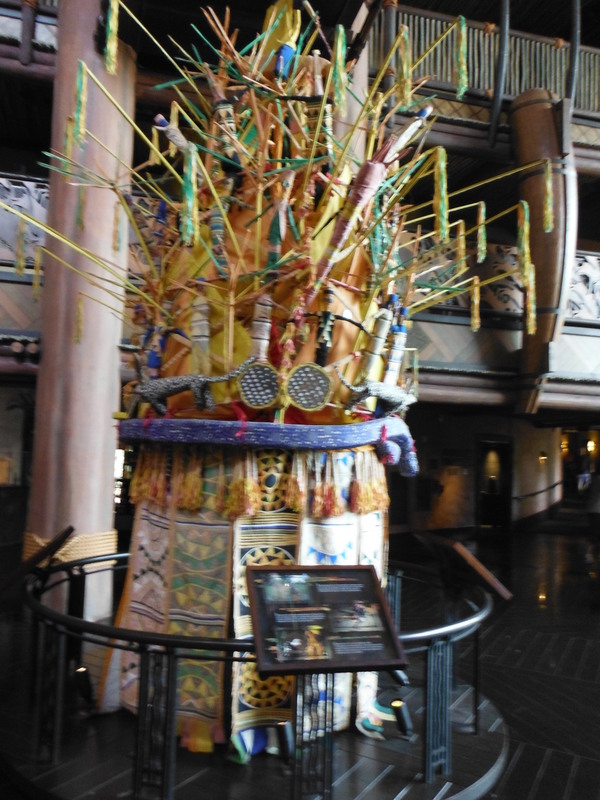 I understand it’s the largest one in WDW. It had a zero entry walk in and was only 4 feet at its deepest. 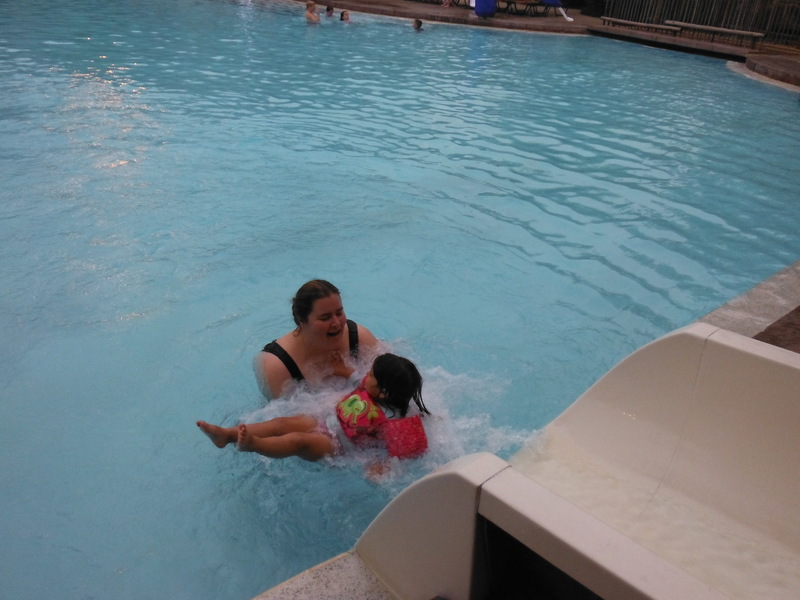 It also offered a small waterslide that my daughter just loved. There were tons of loungers and umbrellas as well. 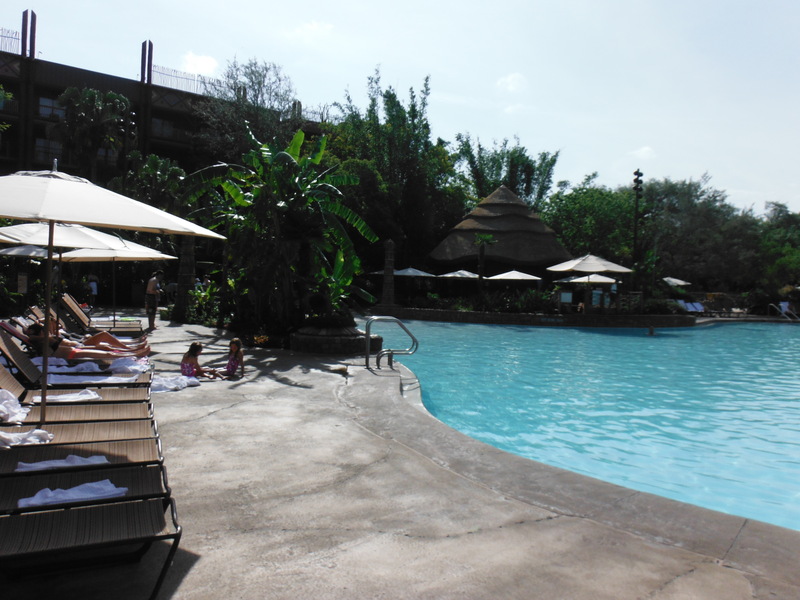 Even on our hottest days, I never saw a full pool and there were always open loungers. It’s nice when you don’t have to fight for a space like you might have to during high season or other reports. The only thing they were missing was a swim up bar, but at least the bar was close by. I thought the room was decent sized for two adults and one kid. 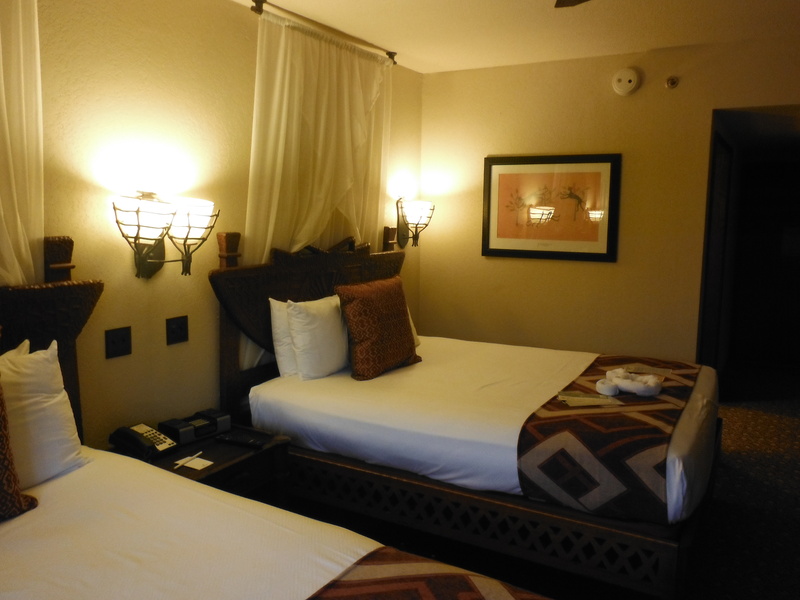 We had two queen beds, although they also offer rooms with one king or rooms with a queen and bunk bed option too. Although the king bed options are quite limited, as you can imagine. In our case we booked our room almost five months in advance and had no shot on a king, and had both other options available. In our case we chose the two queens thinking our daughter would use the other queen (at home she uses a kids bed with three sides and a ¾ railing on one side). 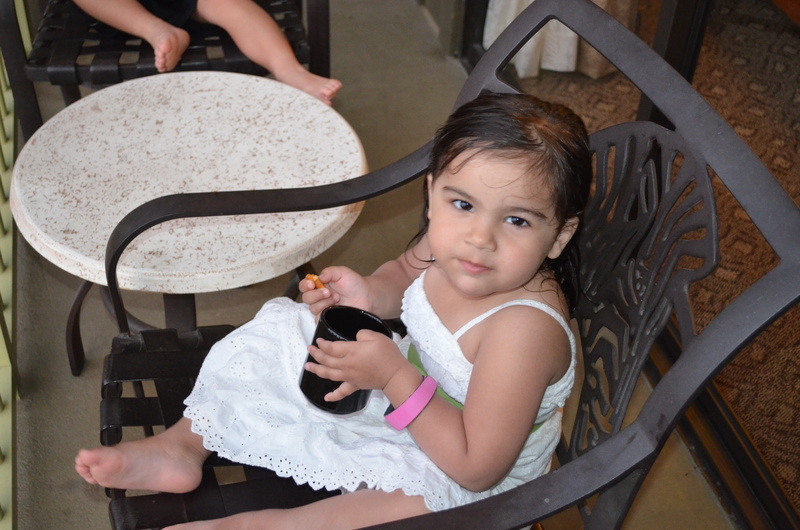 The resort even offers bedrails free of charge and every room also had a pack and play. We tried the bed the first hour of bedtime on the first night and she just wasn’t having it. In fact she asked us if she could use the pack and play, go figure. For the rest of the week that’s what she did and was happy as a clam. Ironically the last time she used one was in LA at Disneyland back in January. Must be a Disney thing. The room itself was comfortable, although I can’t imagine four adults or a family of four with older kids using it. It was just not that big and didn’t afford too much privacy if it was needed. But for us it was perfect. Each room also had a small dorm style fridge, coffee maker and two person round table. Also on the balcony they had two chairs and small table. 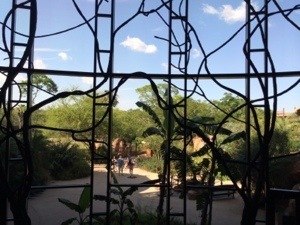 Which was perfect for viewing the wildlife. The powder area also had a double sink and plenty of counter space with H20 supplied products. Some of my favorite (hint hint) for my birthday. The bathroom on the other hand was small. 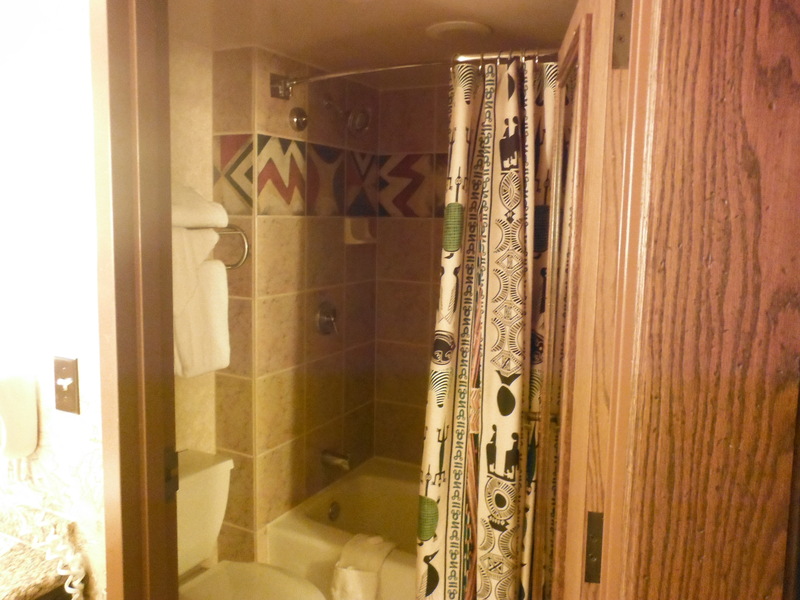 It did offer a tub/shower I imagine standard. But that being said if you wanted to shut the door and were not in the shower you had to contort some awful way. A pocket door sure would have been perfect in this space. At the Grand California Hotel in Anaheim, they also have tiny bathrooms, but have employed this option and it works perfectly. Disney please take note for future builds. The only other issue I had was lack of storage. They only offered two drawers for folded clothes and a closet with a shelf over the hanger rod. Other than that you had to be very very creative. Again with a family resort knowing people need to brings stuff for kids, they could do more. What really made this hotel good for us was the environment of the hotel. It’s on the outskirts of WDW so getting to most events requires a bit of driving. Thankfully they offer complimentary busses to all Parks, downtown Disney and the water parks. 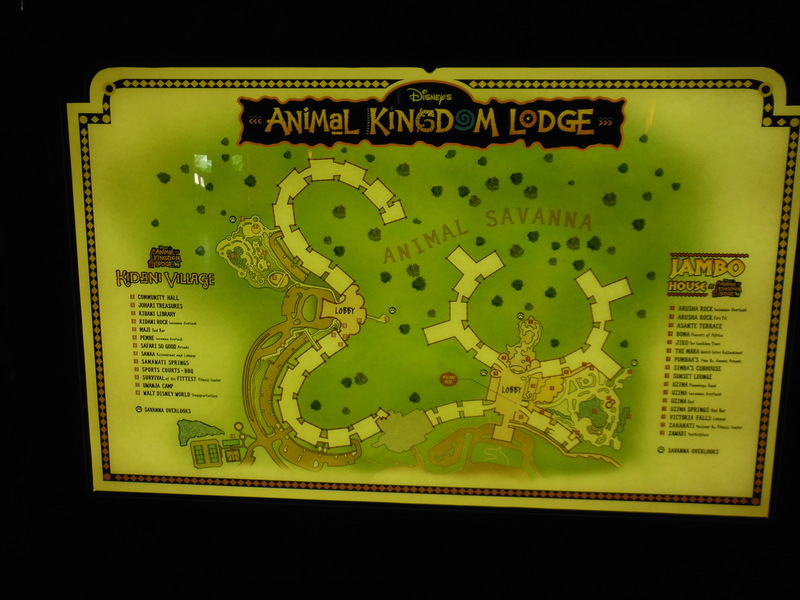 Because of where it’s located meant that it didn’t have tons of visitors unlike the three hotels closet to the Magic Kingdom Park. 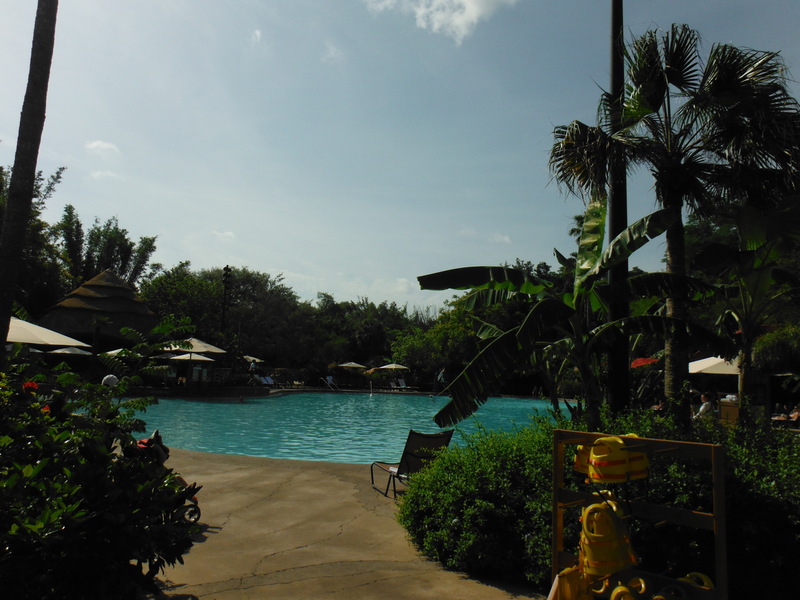 Which kept it quieter than other hotels and made it nice to hang out at. The only downside there was that it took about 20-30 minutes to get to other properties or parks, except for the five minute bus drive to Animal Kingdom. 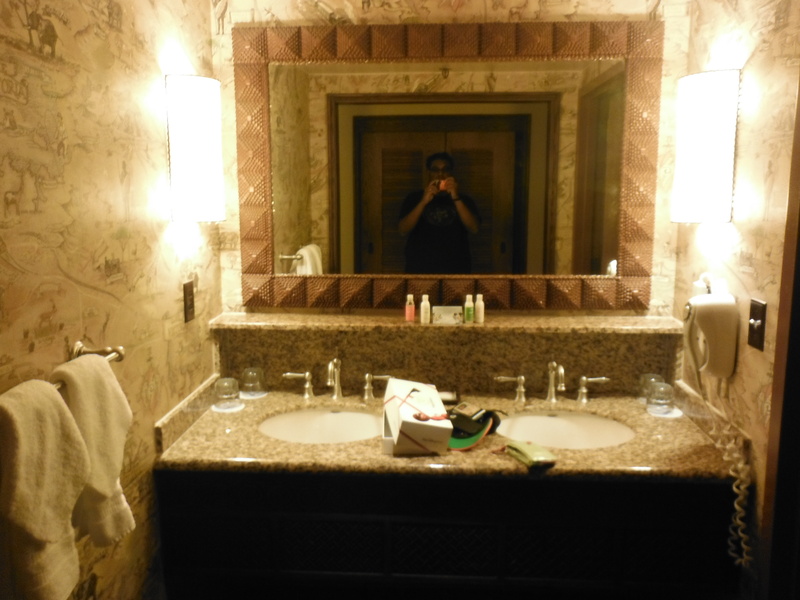 The hotel was great, we had no issues and though service was pretty good overall. 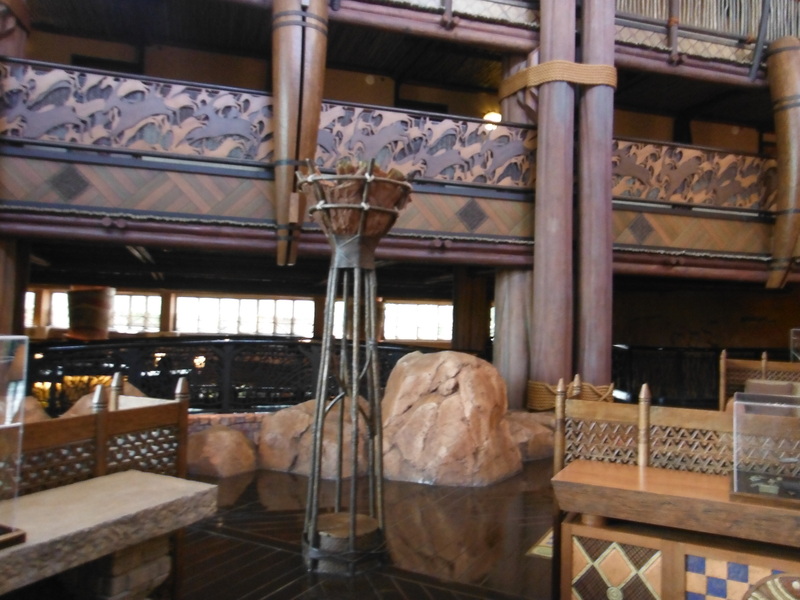 We ate at Boma, the buffet three times. Twice for dinner and once for lunch. They offered a decent spread with African and Asian spices, so I found the food interesting. They also offer a more intimate dining experience called Jiko, and a quick service restaurant, that offers meals all day and snacks. It was a good spot to get a soda, pastry or breakfast (they had killer bacon). With these three options, you will not go hungry, although at some of the more popular resorts, they have twice as many options. 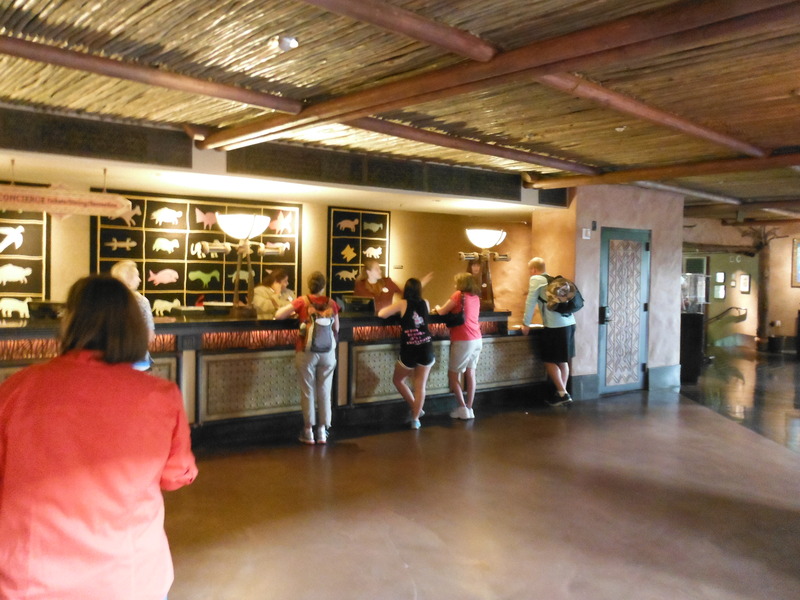 Plus they had two bars for the adults to get that sip of liquid courage to keep you motivated to go back to one of the parks. We were happy to stay here and had a really great time, and I miss seeing my buddies every day.